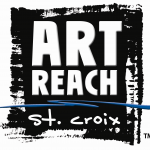 The St. Croix Galleries features a rotating exhibit of visual arts. March 2011: Carol Marie Parendo, oil, acrylic and watercolor paintings, and Julie Keller, fused glass. January 2011: “Serendipity & Wild Images” Photography by Susan Sanders Johnson, Shannon Erickson & Ron Winch.